As announced this fall, the Swiss Table Tennis Open Lausanne (STTOL) became the DHS Europe Cup, to be held from 7 to 9 February and will feature all the best tennis players of the continent, starring the Germans Timo BOLL and Dimitrij OVTCHAROV who are adulated even in China The list of players is now known and the least we can say is that we will not be bored at the Vallée de la Jeunesse. In fact, all European stars will be present including the two Germans OVTCHAROV and BOLL who share between them 2 of the 5 Olympic medals and occupy ranks 6th and 8th in the world (1st and 2nd in Europe). Do not look any further, in the men’s event, the favourites are synonymous with qualifying for the prestigious and lucrative World Cup. 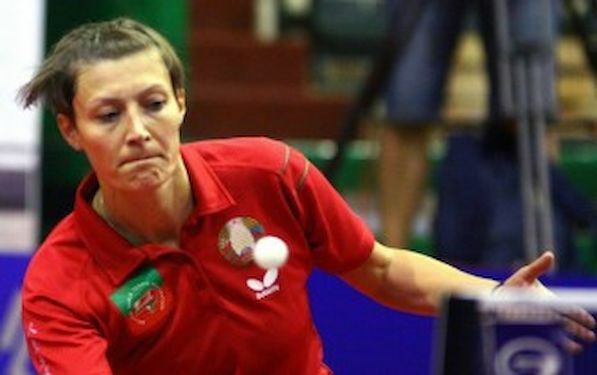 But outsiders still emerge with “Vladi” SAMSONOV, winner of the STTOL 2013, the Dane Michael MAZE who returns to the delight of the female spectators or the spectacular Greek Panagiotis GIONIS. We will not forget the popular no. 1 Frenchman Adrien MATTENET still capable of feats and seeking redemption. In the women’s event, the level is very tight but the player of the moment is definitely the Belarus Viktoria PAVLOVICH, twice European champion (2010 and 2012), ranked no. 4 in Europe and 19th in the world, who won the very tough Czech Open last summer and is ready to make life difficult for players from China (5 out of the 12 girls attending the Lausanne event). For Rachel Moret from Morges, who holds a wild card, the DHS Europe Cup will be the biggest test of her young career. In fact, Rachel is currently at the 167th place in Europe and will compete with the best players on the continent. But the 24 year old Vaudoise is capable of causing an upset as evidenced by her superb performance at the 2013 STTOL where she pushed Iveta Vacenovska (seeded No. 8 this year) to her ultimate limits. Information (specific times, etc..) and tickets for this unique event are obtained on www.sttopen.ch .